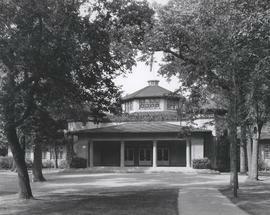 Photograph shows pavilion at Kildonan Park, a structure that was later demolished. Date of photograph is approximate, ca. 1920.